Aussies love their pets. According to the Pet Ownership in Australia report by Animal Medicines Australia, we own more than 24 million pets in this country and have one of the highest rates of household pet ownership in the world (62%). Dogs still come out well on top in popularity, with nearly two in five households owning a pooch. Our national dog population is estimated at around 4.8 million. Cats are the second most desired pet (almost three in 10 households and 2.7 million total felines). Fish come third as the most common Aussie pets, but there has been a bit of a decline in people owning fish and birds in Australia over the past three years. In 2016, there were 8.7 million fish pets in Australia – 2.4 million less than in 2013. Over the same period, bird ownership also dropped by around 11%, equating to just over half a million fewer birds sold as pets since 2013 (our national feathery total is 4.2 million). These ‘big four’ – dogs, cats, fish and birds – make up the bulk of pet ownership. Aussies do own around 2.5 million other types of pets, however, including over half a million small mammals, 415,000 reptiles and the occasional hermit crab! The cost of owning a dog over its lifetime can be up to $25,000 . Cats cost slightly less but also live longer than dogs, so they set owners back around the same amount. Any discussion about ‘average’ pet costs is going to be illustrative, since there are so many variables in pet owners and the creatures they share their lives with. But according to ASIC’s MoneySmart, the average annual cost of owning a dog in Australia is $1,475, broken down into food ($622), veterinarian care ($397), grooming ($129), health products ($248) and boarding expenses ($86)*. For cats, the yearly total is $1,029, consisting of food ($576), grooming ($45), health products ($159), boarding ($80) and vet bills ($273)*. Bird owners are looking at an average annual expenditure of $115, with food costing $55 and accessories $22. Fish aficionados have it even easier on the wallet, with an average annual spend of $50*. You might get the impression from pure statistics that cats are a fair bit cheaper to own than dogs. This may not turn out to be the case in the long run, because cats have a longer minimum lifespan (15 years, sometimes living past 20) compared to that of dogs (10-13 years). You might get the impression from pure statistics that cats are a fair bit cheaper to own than dogs. This may not turn out to be the case in the long run. Like any other major purchasing decision, getting a pet is something that needs to be considered within the context of your total household budget. Pets can add companionship, love and even some extra exercise to your life, but they’re a financial commitment that should be carefully calculated. First, there’s the initial expense. While the cost of a goldfish isn’t going to put much of a dent in your finances, a couple of Irish Wolfhounds are going to cost a lot more – and that’s even before you start adding up the food bill. Many Aussie pet owners might expect to pay between $3,000 and $6,000 during their first year as a new pet owner. If you’re buying a cat or dog, expect to pay anywhere from a couple of hundred dollars to several thousand dollars, depending on the breed and where you buy it from. Even a fish owner has expenses to consider: a fishbowl or aquarium, some pebbles, maybe a filter and assorted other odds and ends to keep their finned friend alive and happy. These can include pet grooming, kennel boarding fees, local council registration (figure on $30-$190 a year), obedience training and dog walking services. If you’ve noticed that the pet aisle at your local supermarket seems to be getting bigger, you’re right. Pet owners have a huge range of accessories to choose from: kitty litter, aquarium pumps, chew toys, reptile heat lamps, collapsible leashes, harnesses, collars, pet restraints for the car and luxurious covered doggie beds. Some products are essential but most are just nice-to-have. Either way, it’s not difficult to spend several hundred dollars on pet accessories over the course of a year. When you first get your pet, you’ll be looking at costs such as microchipping (compulsory in most parts of Australia) and vaccinations. Later, you may have de-sexing expenses, regular vet check-ups and costs for any health issues that crop up unexpectedly. Initial vet expenses can be up to $1,000 in the first year, tapering off to about half that amount in subsequent years. Initial vet expenses can be up to $1,000 in the first year, tapering off to about half that amount in subsequent years. Surprisingly large and frightening vet fees can occur if your pet is involved in an accident or develops a long-term health issue such as allergies or diabetes. Keeping your pet safe from worms, ticks and fleas can be a constant battle in many parts of Australia. Depending on the type (and size) of pet you own, you might pay $300-$400 per year on assorted medications to keep these unwanted critters at bay. Pet sustenance comes in three basic forms: dry food, wet food and treats. Your food costs will depend on the size of your pet, but if you’re feeding an average-sized dog with premium dog food and treats, you should calculate around $800 per year for food alone. 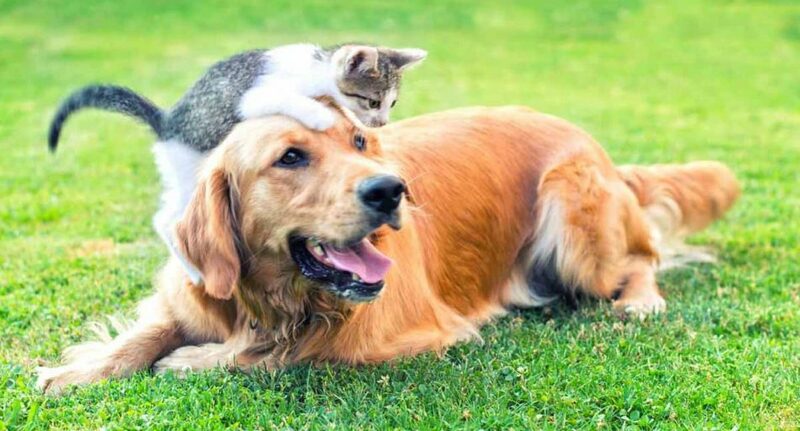 Pet insurance is becoming more and more competitive in Australia. Policy prices will vary depending on the level of cover you choose and the monetary value of included benefits. As a general guide, you might expect to pay between $20 and $60 per month, per pet. If you have the time and inclination, you can take care of much of your pet’s training and grooming yourself rather than paying a professional to do it. Instructional YouTube videos abound on how to house train puppies, teach obedience, give your pet a haircut (or nail trim) and much more. Check with your council on pet registration requirements and fees – they may offer discounts for older pets or for ‘lifetime registration’. Registration makes life easier if your pet ever gets lost, because it can then be traced back to the owner. The cost of registration is only a fraction of what you might be fined if you fail to register your pet. There are several advantages to buying a pet from your local RSPCA or animal shelter. It could end up saving an animal that desperately needs a home. It’s likely to cost you less than what you might pay elsewhere, and you’ll be purchasing a pet that’s already been vaccinated, wormed and de-sexed, which saves you money later on. There’s even a chance you’ll save on council pet rego fees (make sure you ask). Before you buy any pet accessory, ask yourself (a) if you really need it and (b) whether you could create a viable substitute using items you already have in your home. With a little effort, you can probably make pet treats, beds and toys yourself instead of buying the fancier versions from a shop. Grabbing some bargain dog bones from your local butcher is cheaper than buying them from a pet store, and buying lesser known brands of pet food in bulk can also save money. Pet insurance covers events like illness, accidental injury, veterinarian visits and consultations, tick treatments and more. Depending on your policy, routine care may also be covered (or alternatively, offered as an optional extra). In some cases, kennel fees may be part of the pet policy. Like many human Aussies, pets in our country have obesity and diabetes issues too, stemming from too much of the wrong types of foods. You probably know of someone who has experienced an unexpected pet injury or illness and had to fork out a bundle for the resulting vet care. Pet insurance can alleviate a lot of the worry about whether you’ll be able to afford a major incident with your pet. We often forget that our pets have much shorter lives than we do – and unexpected health events can happen quite frequently, especially as they get older. Go online and shop around for the best deal. Do your homework, decide what kind of cover you need for your pet and (as always) read the Product Disclosure Statement, which has all the fine print about the policy’s benefits, exclusions and limitations. * Selected average yearly ongoing costs of an animal owning household, per animal. Other products and services have not been included above.